Andi-Co Australia is the Australian distributor of Liebherr, a German company specialising in highly engineered, advanced technology medical fridges. These fridges are designed to ensure all refrigerated materials are stored in the optimum environment. 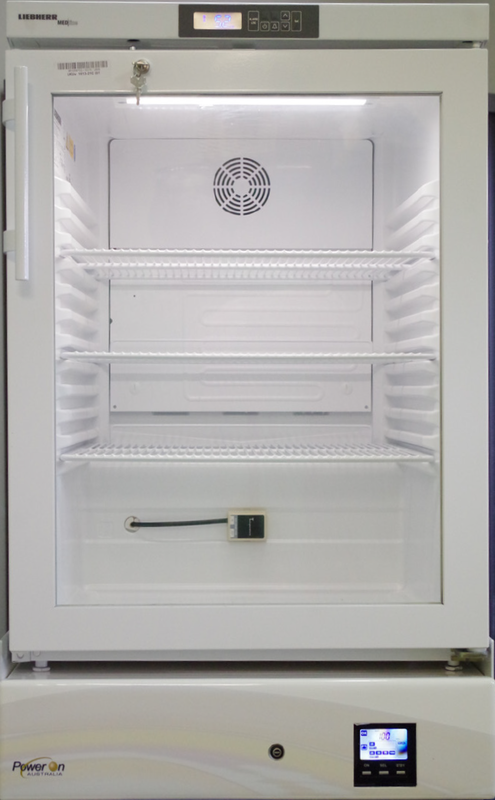 Continuity of power is critical when you’re dealing with medical and laboratory fridges. Loss of power for even small amounts of time risks compromising sensitive stored materials. 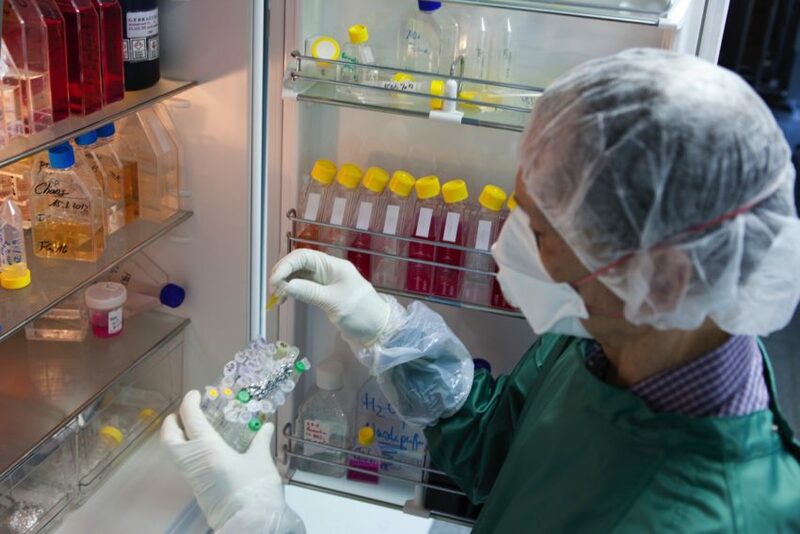 The cost of replacing vaccines and medical products can be significant, and research samples may be irreplaceable. Andi-Co Australia needed a solution which would optimise the performance of the Liebherr fridges and assure continuity of power at a commercially viable price point. Integrating all the components, Power On Australia’s solution to provide continuous power to Liebherr’s medical fridges is energy efficient and has a low power draw. The plinth containing the technology is unobtrusive and small in height…which is important in laboratories and pharmacies. There’s an integrated alarm system, which can monitor mains failure in real time, and can also provide temperature monitoring options as well. This ensures there is no power interruption in the event of unexpected power failure. The whole solution marries perfectly with the advanced technology of the Liebherr medical fridges. When looking for a reliable solution to assuring power continuity, we weren’t willing to trust off the shelf options. We felt that Power On Australia was the only company with a high enough level of technical knowledge and expertise in the power protection space. They also have access to the best equipment from around the world. Power On Australia devised a solution that doesn’t just marry perfectly with Liebherr technology, it’s also commercially viable. It’s not overly engineered – it’s a solution that fits our needs precisely. We are recommending them to our entire dealer network. Very impressive.